Present state: Demolished. A bridge parapet in Hartley Road is extant. 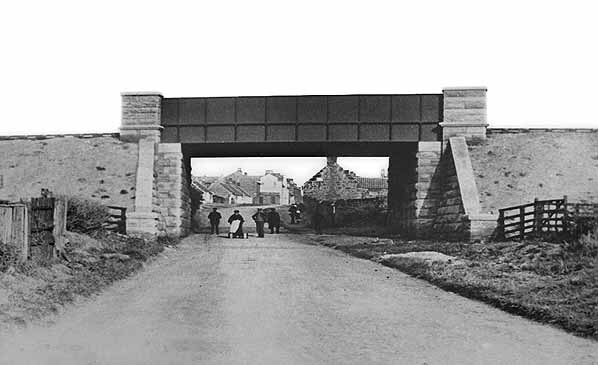 Notes: When the Blyth & Tyne Railway’s ‘Avenue Branch’ was opened between Hartley, Whitley / Monkseaton and Tynemouth (to goods in 1860 and passengers in 1861) it bypassed Seaton Sluice, and continued southwards, part of its length following the course of the old Whitley Waggonway, It was not until the early years of the 20th century when housing development seemed likely at Seaton Sluice that plans were devised by the North Eastern Railway to put the village officially on the railway map. Following electrification of the Newcastle – Whitley Bay ‘coast circle’ in 1904, a Bill to enable the construction of a branch from Monkseaton was deposited in the 1910-11 Parliamentary Session. It received the Royal Assent on 18 August 1911. The station was at the terminus of the branch, 1 mile 68 chains from the junction with the Avenue Branch (Monkseaton – Hartley). It had two 160 yard platforms, the eastern one possibly intended to have a bay on its east side, as suggested by the accompanying plan. 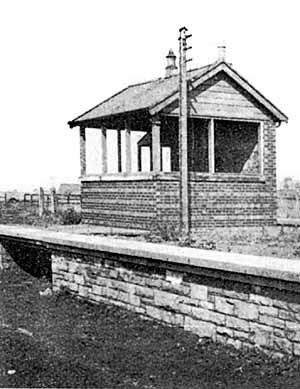 The station buildings and signal box were to be on this platform, with a waiting shed on the west platform. A footbridge was planned at the northern end of the station, as the tracks were to extend a little to the north of the platforms. The station was to be electrically lit. The Ordnance Survey 1: 2500 map of 1922 includes -and names - Collywell Bay station. The platforms and signal box are shown. The main building is not indicated, although its intended position can be deduced, and the widening of the west platform to accommodate the waiting shed is visible. A single railway track appears on the map, with a passing loop a short distance south of the station, and the line ends a short way along the west platform. The platforms survived until at least 1964, at which time they were serving as a compound for livestock. A contract was agreed on 14 November 1912 with C M Skinner for an electrified branch line to Seaton Sluice, a little under two miles in length, leaving the Avenue Branch about a mile north of Monkseaton station. This section of the Avenue Branch would be doubled, and Monkseaton station would be rebuilt on a grand scale to accommodate the Seaton Sluice trains. It was decided not to call the terminus Seaton Sluice, but to use the more appealing name of Collywell Bay, considered more appropriate for an aspiring genteel resort and commuter destination. An intermediate station with a passing loop on the single track branch was to be provided at Brierdene, (A District Engineers’ map date-stamped 22 November 1913 named this station Delaval Bay.) At this station an attractive building was planned to serve the housing that was expected to develop around it. In May 1913 signed an Agreement with Lord Hastings permitting the NER to build the line across his land, of which he was to sell 21½ acres at £40 per acre. It was implied within the Agreement that at least 350 houses would be constructed near the terminus. stretch of single line was restored using second-hand track (probably before the end of that year) to be used by a naval coastal defence gun, mounted on a specially built railway wagon. After the war the local council expected the line to be completed. 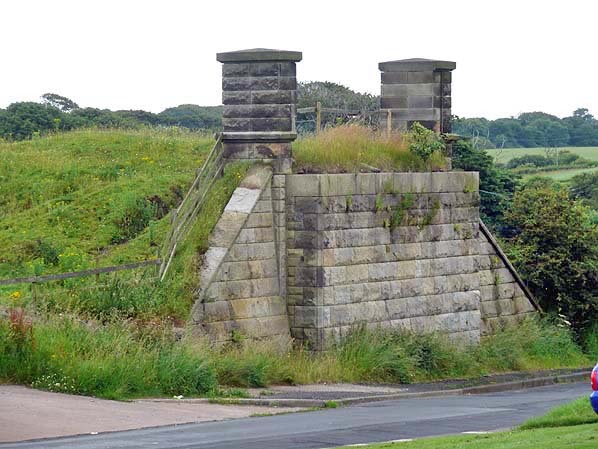 The LNER reviewed the project in 1924 but did not proceed because little housing development had taken place at Seaton Sluice. In November 1930 the cost of completing the project and operating a half-hourly passenger service and goods trains was weighed against the potential revenue, and the outcome was a decision to abandon it: its fate was sealed in an Agreement between the LNER and Lord Hastings on 1 December 1931. The line and bridges were removed by the end of 1932, but Lord Hastings permitted the partially built stations to remain in place because of the expense of their removal. For many years the trackbed of the branch could be followed from Brierdene Junction. 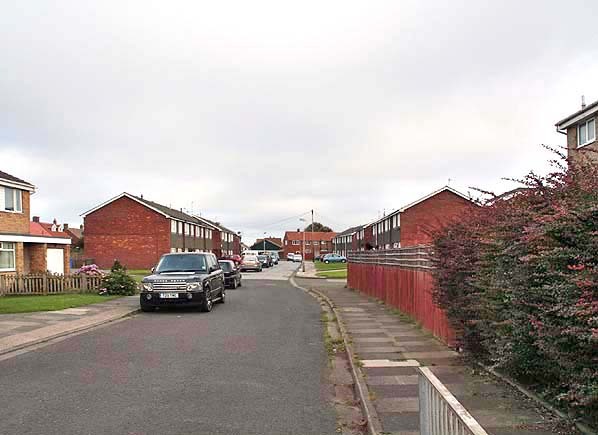 Only in the late 1950s did housing development at the Monkseaton and Seaton Sluice ends obliterate the line. 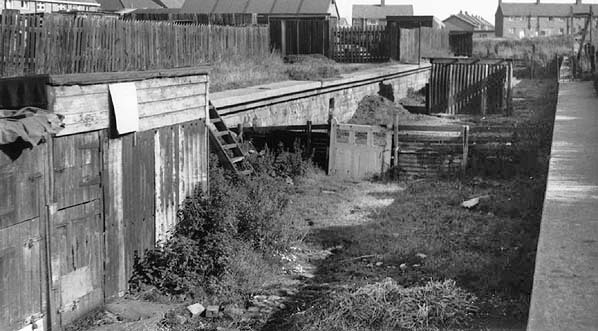 Collywell Bay’s platforms were still intact amidst housing in 1964, but have since disappeared. Seaton Sluice 1896 Godfrey Edition reprint (Northumberland Sheet 81.07). Includes historical survey by Alan Godfrey and the 1922 OS map on the reverse. I am grateful to J C Dean for commenting on this article and providing additional information. Railway Clearing House (1914) map from Alan Young. Route map drawn by Alan Young. 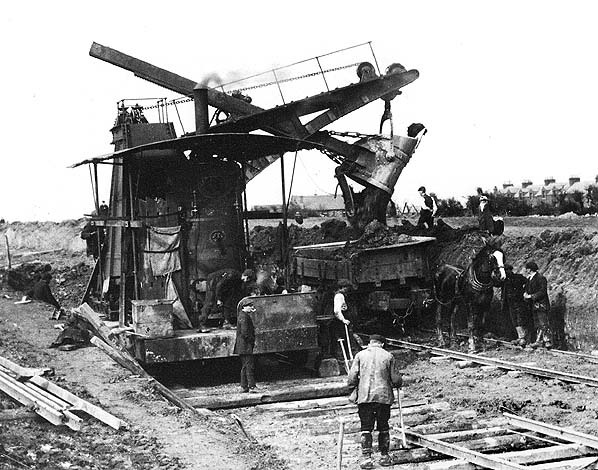 Construction of the terminus at Collywell Bay underway in 1914. Clarence Street is seen on the right. 1922 1:2,500 OS Map. Although it was never opened, much of the station was built. The two platforms, intended as the passenger terminus are shown as is the curving goods dock at the eastern edge of the site. Outlines of small buildings are shown midway along the north-east platform and just beyond its south-eastern end. A single railway track can be seen reaching the southern part of the south-west platform, presumably the length which was reinstated to carry the naval coastal defence gun, mounted on a wagon. 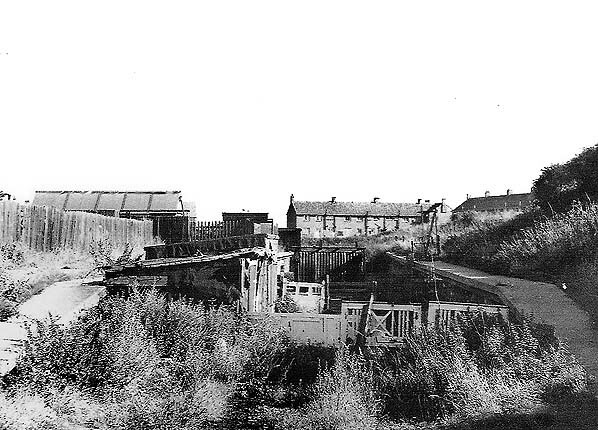 The course of the Seaton Sluice Waggonway (on which a passenger service was provided from Hartley in 1851-3) is shown by a south-west to north-east boundary fence that passes close to the southern end of the goods dock. 1938 1:2,500 OS Map. Collywell Bay station was never opened, and by 1938 the railway track and the two small buildings outlined on, and just south-east of, the north-east platform have been removed, but little else appears to have changed since the map of 1919. Bridge over Hartley Road half a mile south of the Collywell Bay terminus. At least one parapet and the embankment approching the bridge from the south are extant. Collywell Bay station looking south from the down platform in August 1964. Housing has appeared all round the station but the station site remained undeveloped until at least the mid 1960s. 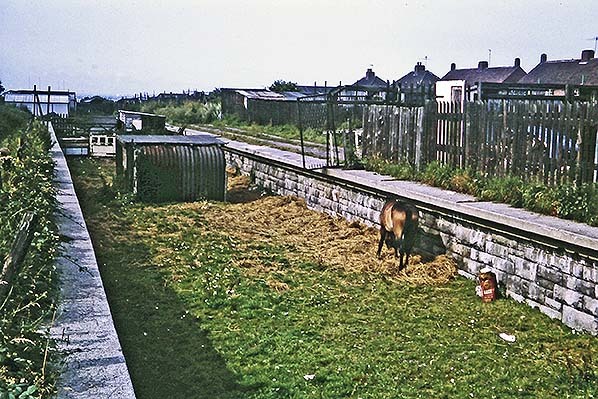 Collywell Bay station looking south c.mid 1960s. Looking south at the site of Collywell Bay station in August 2010.